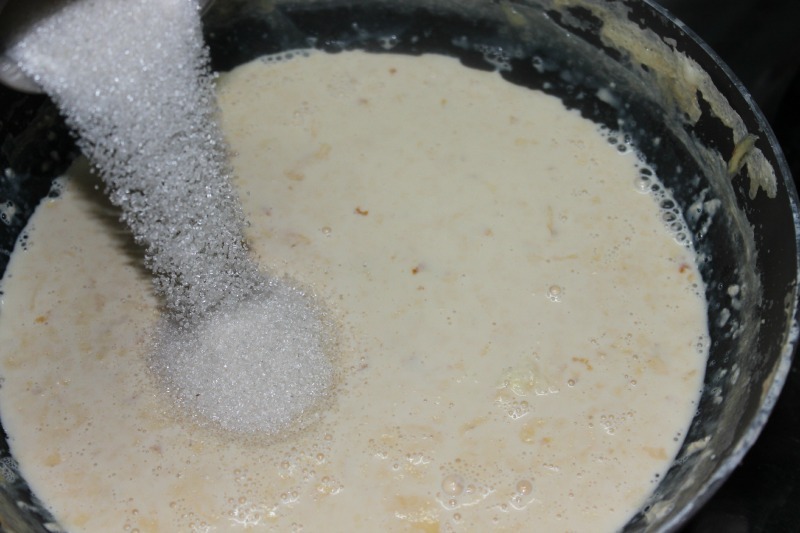 Basundi is a rich sweet recipe made with thickened milk and the roasted nuts adds extra richness to this sweet.This sweet can either be served chill or warm.Very easy recipe with just two ingredients milk and sugar but takes an hour or more to prepare this delicious sweet. 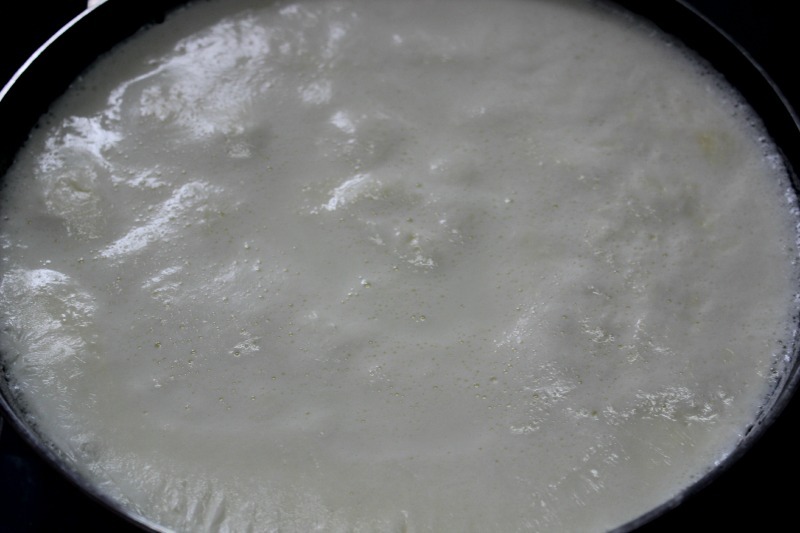 Pour the milk in a heavy bottomed vessel or a non stick kadai in medium flame. When it boils simmer the flame. 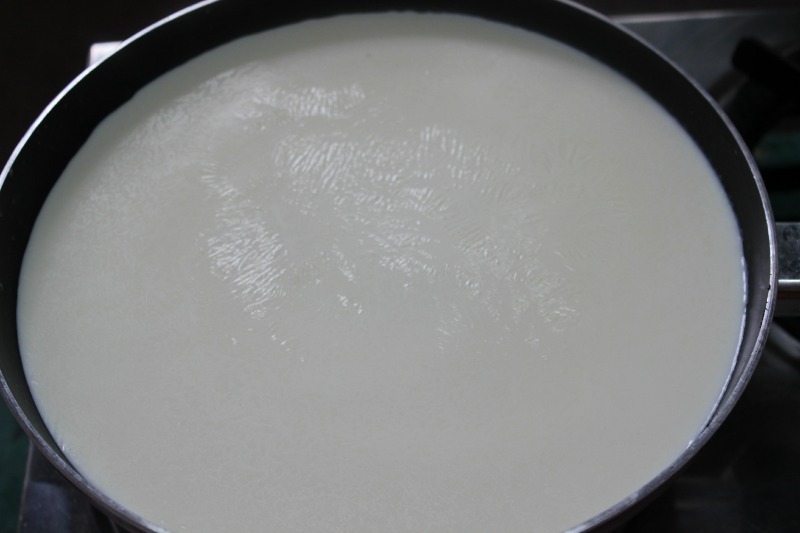 Stir at regular intervals to avoid the milk from getting burnt. 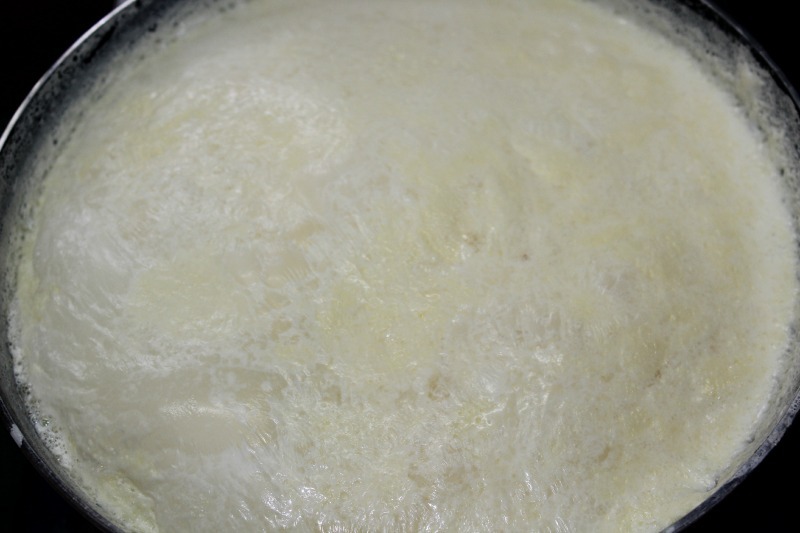 The milk starts to thicken now,so stir often. 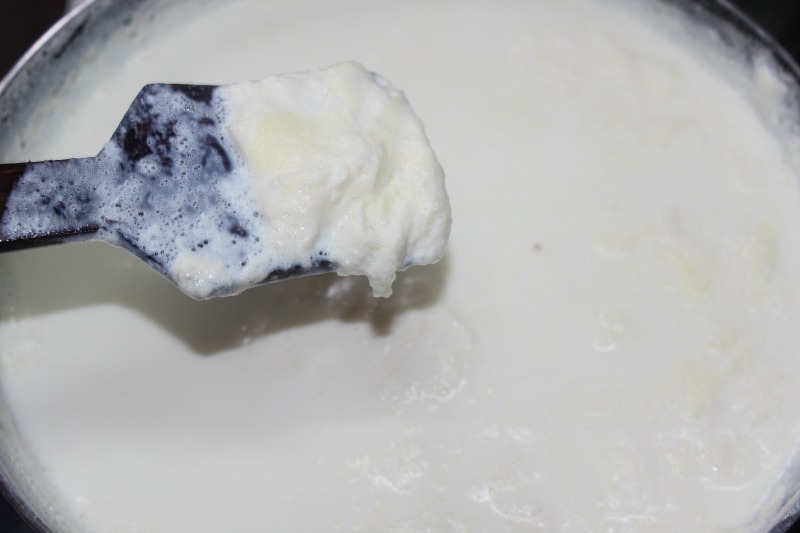 The milk solidifies at the sides,collect them and add it back to the milk. 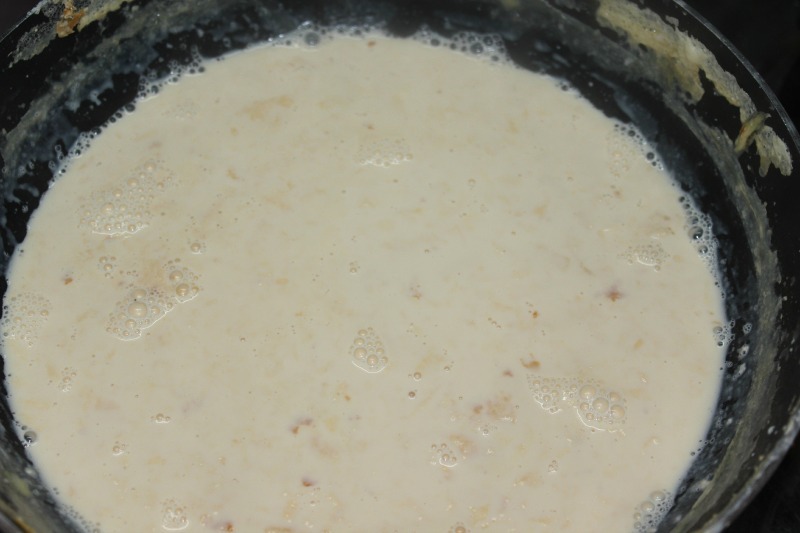 The milk starts to thicken really fast now.At the end the milk should be reduced to half its quantity. 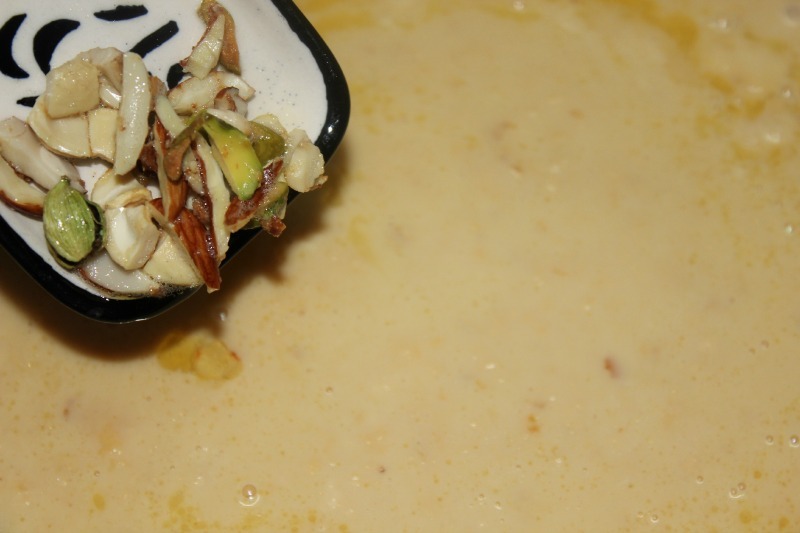 After 5 mins add the roasted nuts,cardamom and saffron strands.Stir them well and switch off the flame. 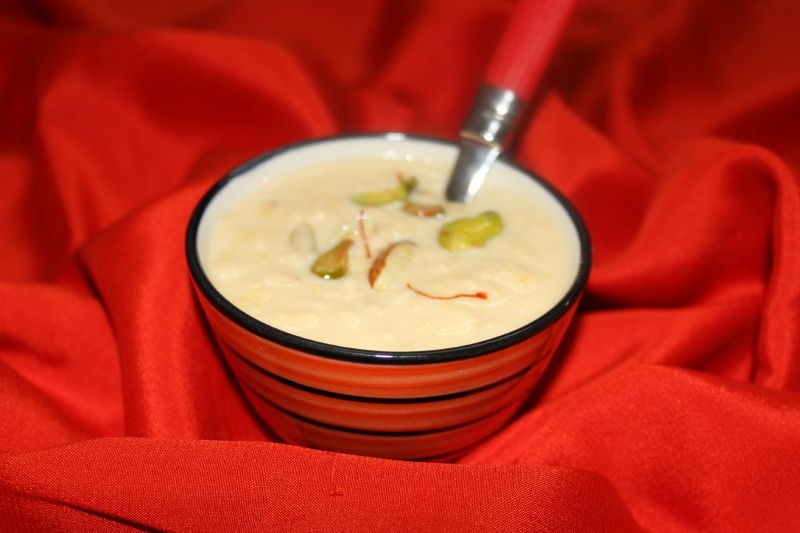 Serve this delicious Basundi warm or chilled. 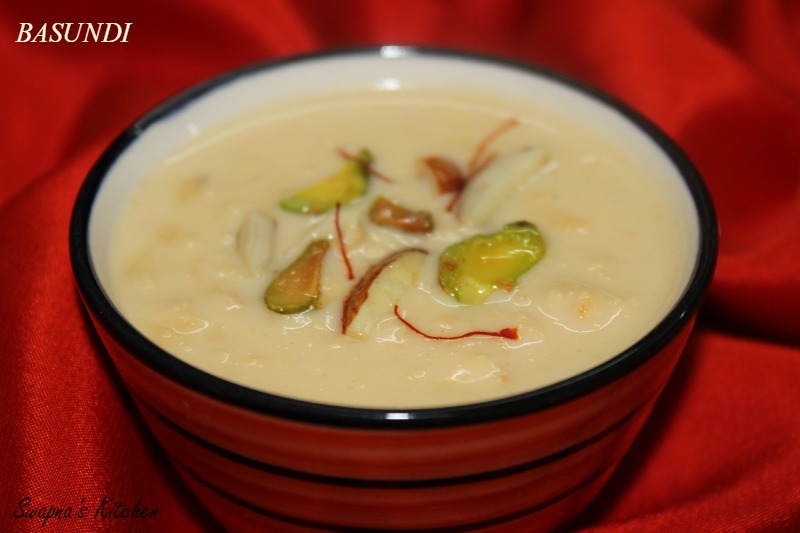 I could eat Basundi all day long,and yours looks so creamy and delicious. Hi swapna. 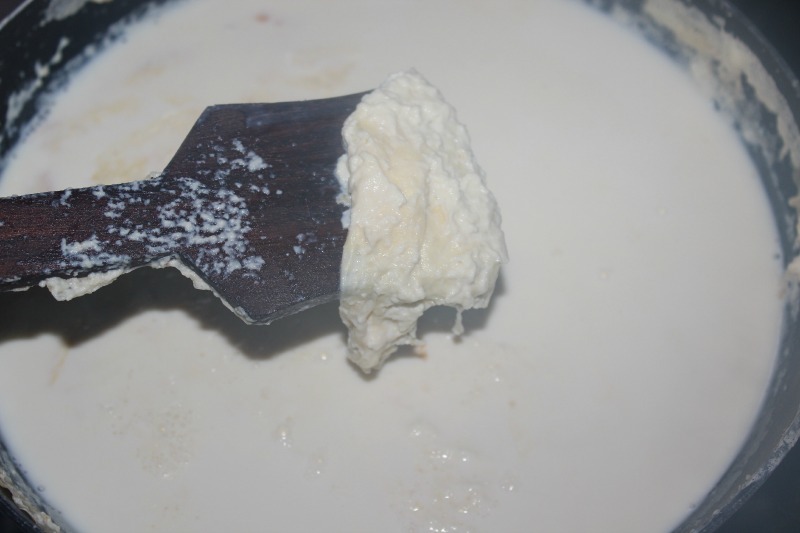 Much rather eat than make. I do have a sweet tooth. Thank you so much for liking my poem Their Bones Beneath! Peace and Best Wishes. The Foureyed Poet.